This week, we're doing something a little different. We're looking back on the life of one of Jesse's favorite Bullseye guests ever: Ricky Jay, who died last month at 72. 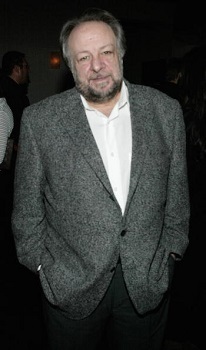 Ricky Jay was one of the first magicians to play comedy and rock clubs in the 60s. He became one of the most adept illusionists in the world and one of the greatest sleight of hand performers who ever lived. 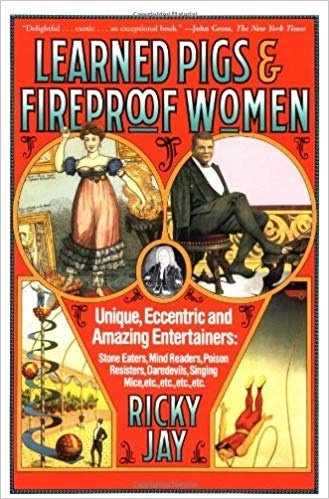 He's in the Guinness Book of World Records for his card tricks and authored a bunch of books on the history of magic. Ricky was an actor, too, who appeared in a bunch of movies like "Boogie Nights" and "Tomorrow Never Dies." He had a pretty big role on "Deadwood" and narrated PT Anderson's "Magnolia." David Mamet directed his one-man shows. On this episode, you'll hear from several different interviews I did with Ricky over the years. We talked about his acting, his research into the history of magic, even the nature of truth itself. First, we'll share our conversation with him in 2005. Ricky Jay talked with Jesse on the phone about his collection of handbills and flyers from performances dating back all the way to the 17th Century. Ten years would pass before he was a guest on Bullseye again. It was early 2015 and he was the subject of an episode of American Masters, the PBS series. He was the first magician to ever get profiled on the show. It's available to stream online. You should absolutely check it out. The last time Ricky Jay was on the show was in 2016. He'd just written a book about Matthias Buchinger. Buchinger was an artist and calligrapher. He was born without hands or feet and was only 29 inches tall. He called the book "Matthias Buchinger: The Greatest German Living." It's out of print but if you can find a copy, you should pick it up. Click here to listen to our interviews with Ricky Jay on YouTube. Here's a celebration of one of Ricky Jay's best selling books.